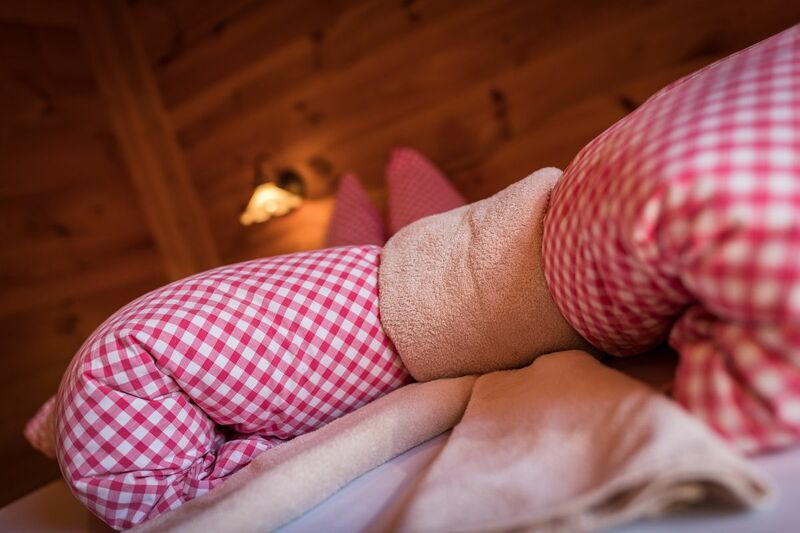 Fall asleep with the pleasant smell of spruce and pinewood. Would you like to relax for a few days and keep yourself busy or perhaps enjoy a good book? 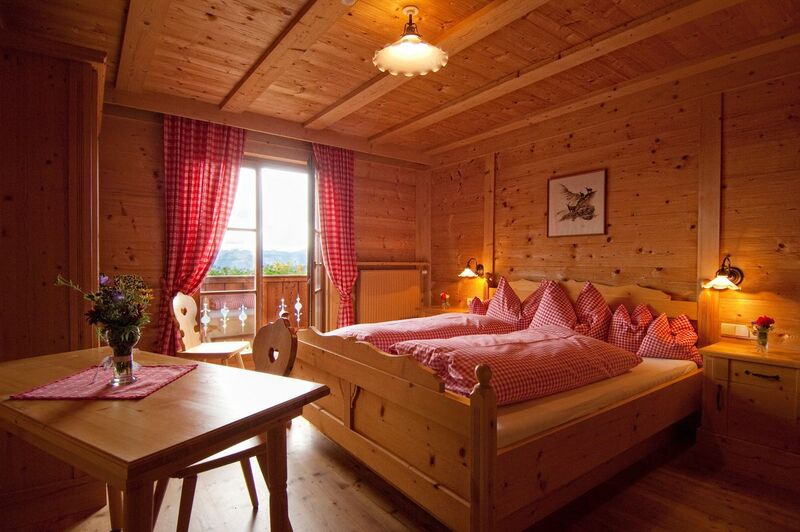 Then the Hofer Alpl is your ideal place. 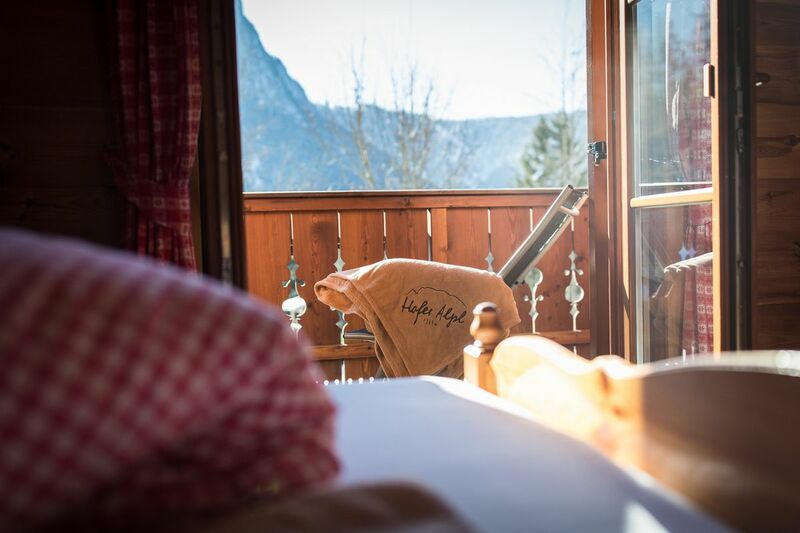 Hofer Alpl stands for uncompromising tranquillity in the middle of the forests at the foot of Mount Schlern. 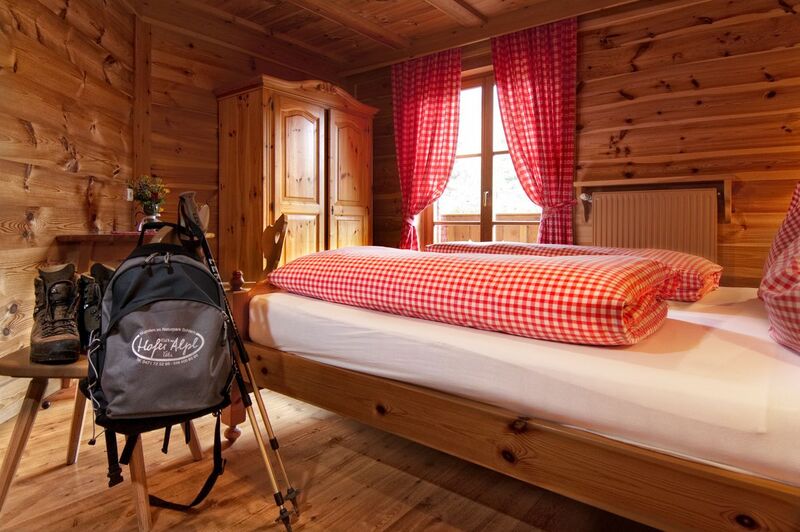 After a strenuous hike you can relax gloriously in our spruce and pinewood rooms. 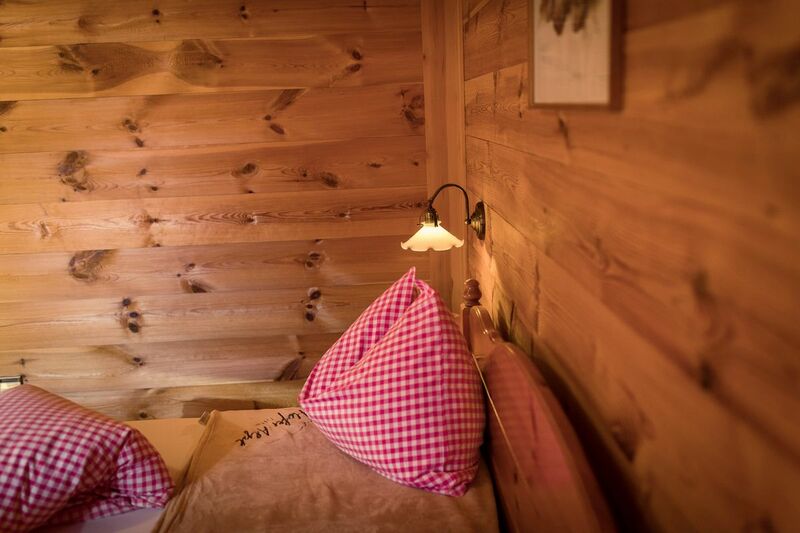 You will spend romantic nights in cosy down feathers with red & white chequered cover, and in the morning the mountain sun will tickle you out of bed. 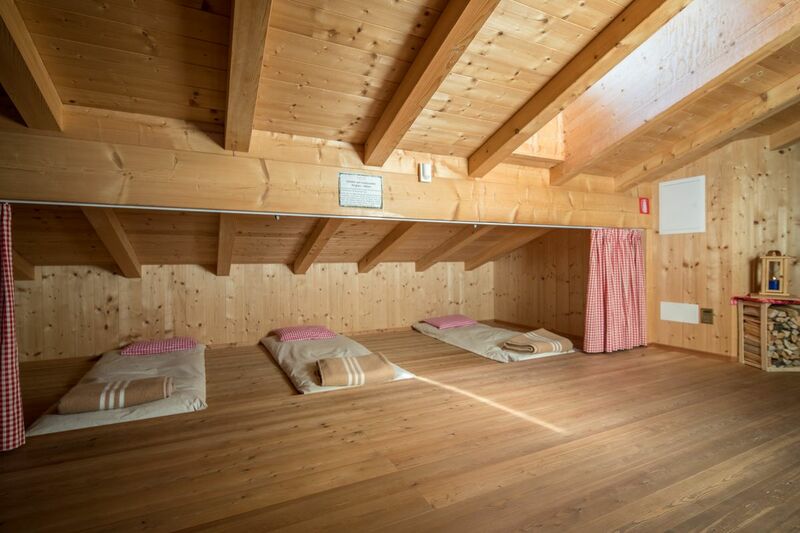 Or you can alternatively book a sleeping place in the dormitory. 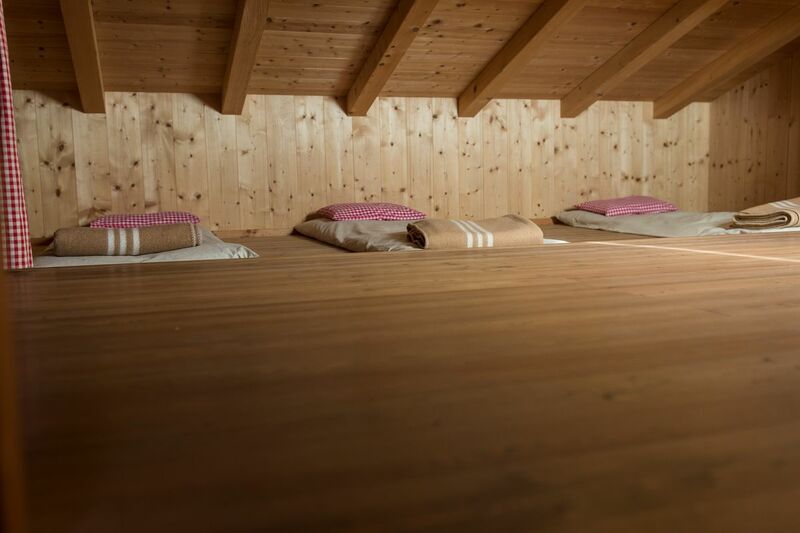 Our dormitory is generously equipped with shower & toilet, and not only offers space for hut hikers. The exclusive family dormitories also guarantee comfortable and inexpensive overnight accommodations. We provide inner covers, blankets, pillows and towels for the overnight stay in the dormitory. Our prices have to be intended per person and per day, half board included (breakfast and dinner), for a stay of three and more nights. Depending on the age, the prices for children will be reduced (in the rooms with 2 adults). Prices shown attract a local tax of 1,55 € per person (aged 14 years and over) per day, payable on departure. From 2018 on the tax will be higher. Surcharge for 1 or 2 nights (in the rooms) + 5,00 € p. p.
Private use of the dormitory + 5,00 € p. p.
You are welcome to bring your dog to our house, please note that we demand per dog, per day without food € 14.00 charge. We ask that you give advance notice if you bring your four-legged friends. Dogs are permitted in the dormitory only if you use it alone. In the house and around dogs must be leashed. please contact us, as soon as possible in written form. We try always to find a good solution for both sides. Please note, that the shown prices can be changed.